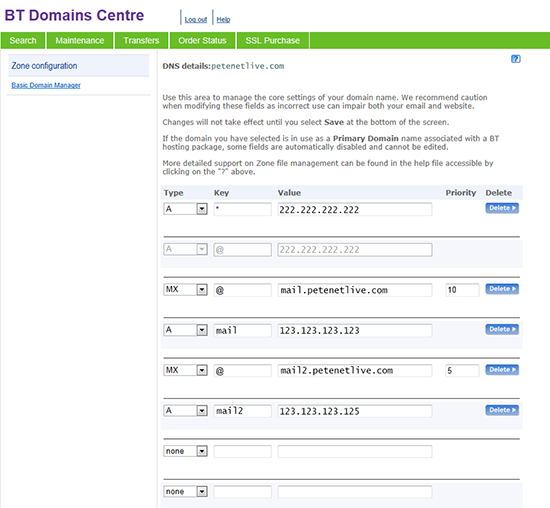 If you are used to setting up DNS records, then the BT Web Portal (btdomainmanager.com) can be a little confusing. I was stuck yesterday, luckily I had another client I could get to check their records for me. In addition to the two MX records, I’ve also setup two A (host) records that point the host-names mail and mail2 to those two IP addresses. 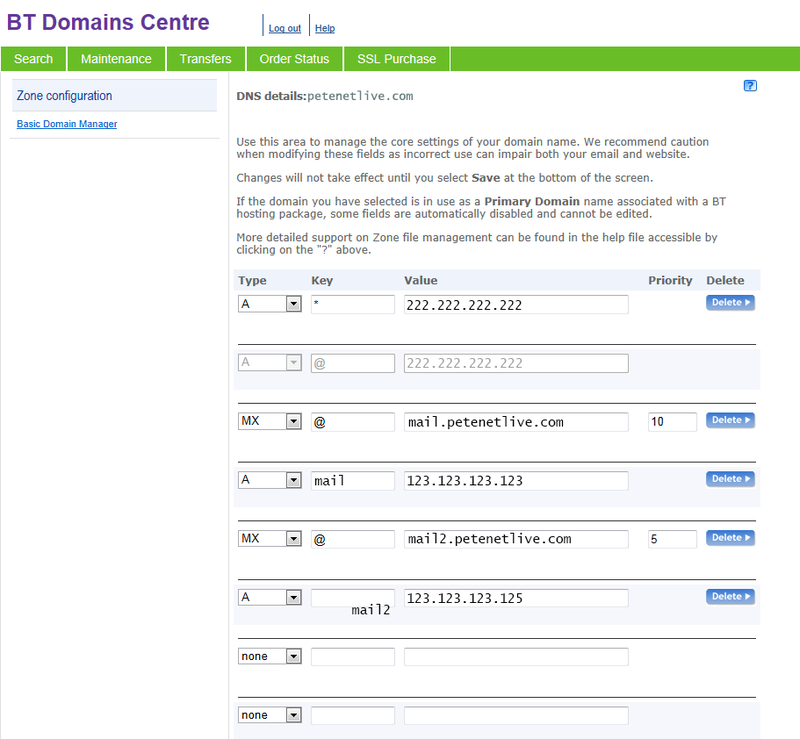 Note: Most of you, will only have one IP address, and one host record to create.